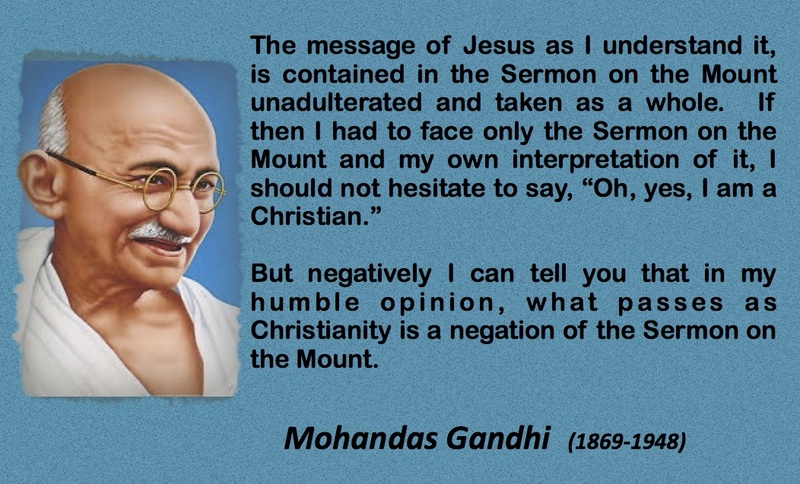 This morning’s readings included Matthew 5:1-12, “What Jesus Means to Me by Mahatma Gandhi (found here) and Matthew 5:13-16. The full text of the Sermon by Dr. Martin Luther King Jr. can be found here. This entry was posted in Adult Education, Evolutionary Christianity, Progressive Theology, SERMONS and tagged emergent theology, evolutionary Christian sermon Matthew 5:13-20, evolutionary christianity, Gandhi and Jesus, Gandhi and the Sermon on the Mount, Gandhi Jesus and Martin Luther King Jr, Progressive Christian sermon for Epiphany 5A, progressive Christian sermon Matthew 5:13-20, progressive Christian sermon on the Mount, progressive christian spirituality, progressive christianity, spirituality by Rev. Dawn Hutchings. Bookmark the permalink.